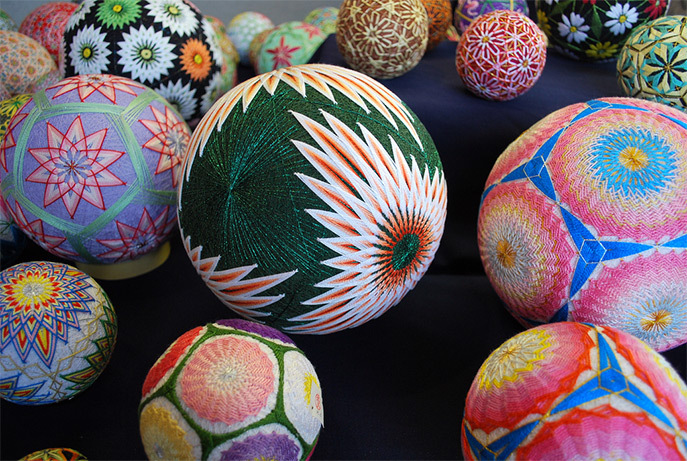 Temari (meaning handball), is a Japanese folk art form of embroidering balls for handball games or just plain decoration. 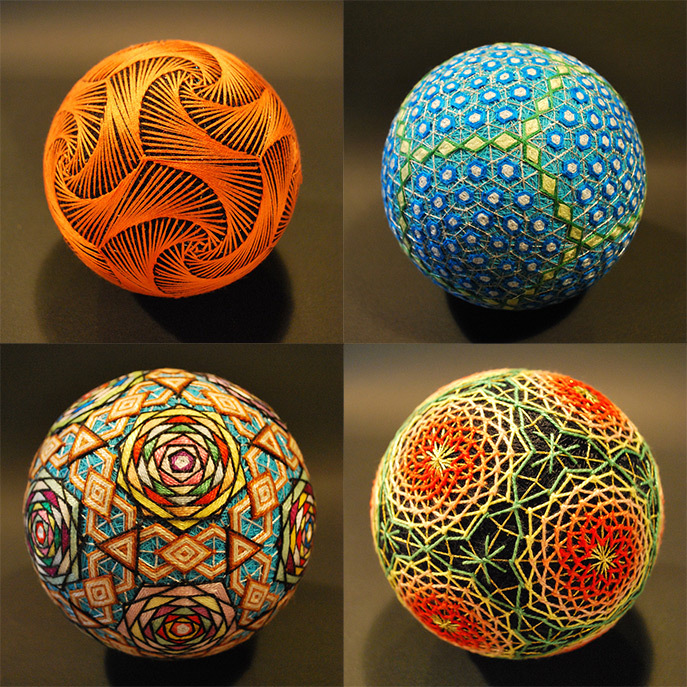 Back in the day (around 7th century AD), the spheres were made from old kimono remnants that were wadded up into a ball and then wrapped with strips of fabric. Over time, the process of constructing one transitioned into an art form with the colors and threads meant to wish the recipient of the gift a bright and happy life. That notion alone is true for Flickr user NanaAkua, whose 92-year old grandmother hand stitched almost 500 of the decorative balls since she learned the technique back in the 1960’s. 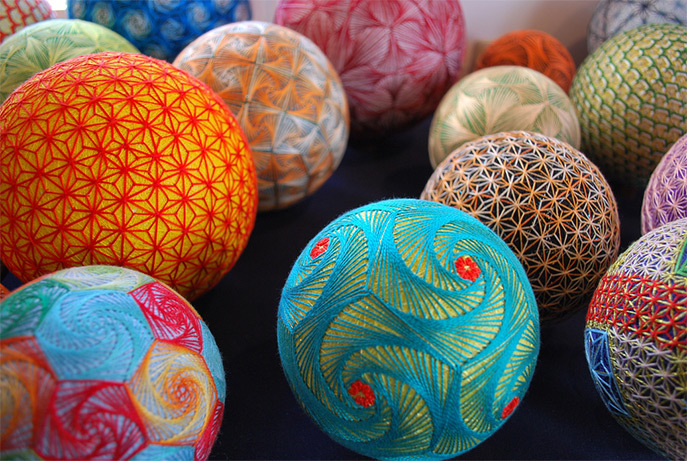 Traditionally, mothers would create a Temari for their child and given as a gift on New Year’s Day with a hand written wish of good will. The mother wouldn’t reveal to the child what that wish was while making the ball, which adds a layer of mystery and an overwhelming urge by the child to unwrap the ball to find out what that wish was. Regardless, the collection that NanaAkua’s grandmother has created is indeed incredible works of art that are simply beautiful. See more of her work on Flickr.